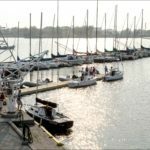 From novice to old salt, there is a place for everyone at National Yacht Club. 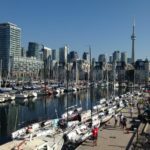 On the water since 1894, National Yacht Club is an active, inclusive boating community located near the foot of Bathurst Street, right in the heart of downtown Toronto. Operating year-round, our club features comfortable dining and a spectacular patio with free on-site member parking – a rare find downtown! The National Yacht Club offers safe dockage for your vessel, relaxation for Captain and Crew and a beautiful setting for your social events and leisure. You are on the lake in minutes, and back in the city at the end of the race or cruise just as quickly. 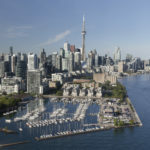 Our location is equally convenient to the lake with quick access to the inner harbour, Toronto Islands and Lake Ontario. With competitive club racing, an active crew bank, weeknight cruising program and year-round social events for members are integral parts of our great location. 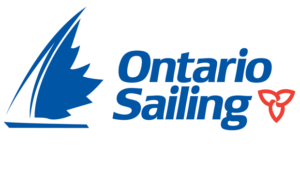 We also have a variety of learn to sail programs for children and adults, including adult keelboat lessons, adult dinghy lessons and our highly-esteemed youth Sailing & Racing School. 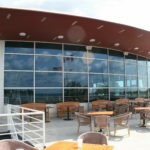 National’s striking clubhouse with licensed dining room and terrace provides superb views of air shows, on water activities, and the most romantic sunsets over the water and the city skyline. Quality and variety are the focal points of the menus created by our Executive Chef for daily enjoyment, special events and business meetings. 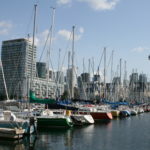 Join us and find out why “The National” is the place to be for Sailors and Power Boat Enthusiasts! Keel Boats, Power Boats, Drysail, Dinghy – We Have It All! Written by: Samantha Glass on October 19, 2016.on February 23, 2018.